Investments, particularly in this day and age, are important for our future. What you invest in today shapes and creates a foundation to build upon. Where you invest your energy is no different! 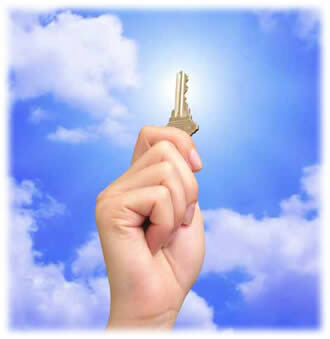 The creation of your future depends upon where you choose to invest your energy now and you alone hold the key! There are alot of people, places and things that vie for our attention but are any of those really something you’d like to invest in? Your energy is a valuable resource. If you compare it to and think of it like money or stock, is your energy invested in YOU or something outside of you? Is it invested in the things you are passionate about or in what you’d like to create or in loving yourself? You carefully choose your monetary investments based on growth and payoff. Are you also choosing to invest your time and energy based on the same criteria? Although in spirit there is no time or space, time is energy! What do you spend time on; Those things which are important to you or things that are important to others? Investing your time and energy into your well-being, your mental, physical and spiritual health, pays BIG dividends and your energy is a renewable resource. Putting your time, energy and attention into nurturing your creations doesn’t take away from the energy you have to create with. In fact a wonderful by-product is that when you are enjoying something, you’ll have MORE energy! Investing in YOU is free and you don’t need someone else to help you manage it! There is no other person who can make the decision about where, what or how you invest. It’s all up to you! It’s important to remember that you can’t really make a mistake with this. If the investment you made isn’t paying off as you would like it to, you can instantly and at any time change where, what and how you are investing your time and energy! If you spend a lot of time dwelling on what you don’t have, that’s investing in what you don’t have! If you spend time worrying about things you have no control over, that’s where your energy goes! Each time your attention, time and energy is invested in something other than those areas you’d like to have growth & expansion, spiritually uplifting and empowering payoffs or self-love it becomes a detriment and you have less of it invested in YOU. Previous Post Growth & Expansion: Is it a NEW you or more YOU? Next Post Caring for your most intimate relationship…. Such a good metaphor- it’s funny how we can so easily think of our money in this way (however untangible or valued), but not our energy! This makes beautiful sense, though, thank you! !